This is a diorama of the Lost in Space Chariot on a wooden base. Base measures 11x9x6 inches. 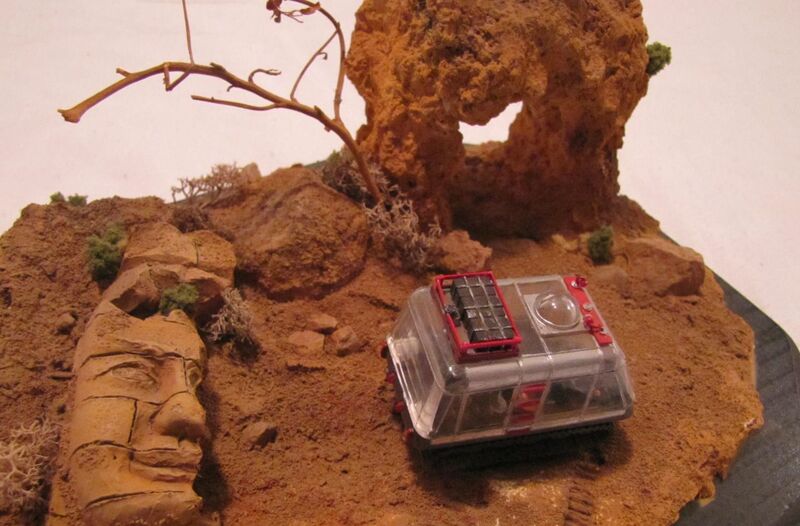 Hand made alien planet landscape, Chariot is a mini Lunar Model kit.